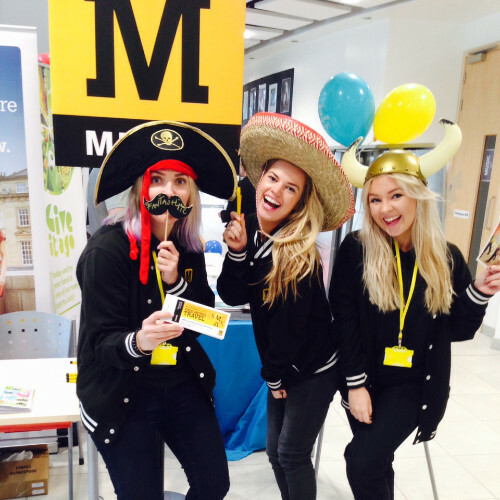 Firstly we despatched teams of our best brand ambassadors to university and college events in Newcastle, Gateshead and Sunderland. These events included Freshers Fairs at Sunderland University, Northumbria University and Newcastle University as well as Sunderland, Newcastle and Gateshead college campuses. 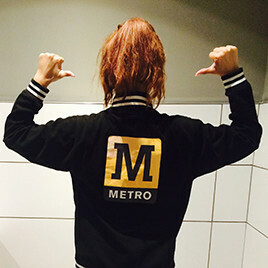 The staff wore fully branded Metro uniform and at their own bespoke Metro stand, approached students to talk to them about how they commute to university. 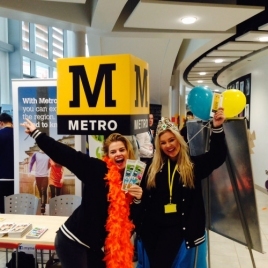 The teams spoke with the young adults, offering them vital information about Tyne & Wear Metro as well as a free discount code voucher which was redeemable at Metro stations across the city. After the success of this leg of the activation, the Independent Events promotional staff expanded the operation and employed guerrilla style tactics, targeting areas of high student footfall around student accommodation and Metro stations in these areas. Teams of two took to the streets armed with discount codes and Tyne & Wear Metro leaflets, offering students making their way to and from university and college a chance to take advantage of the free travel offer. Click here for more of our work with Tyne & Wear Metro.